This amazing release is available at 10am EST at Nike HERE. From his first game to his electrifying 60-point farewell, Kobe exhibited a relentless pursuit of greatness, a mentality that lives deep inside every human both between and beyond the lines of the game. 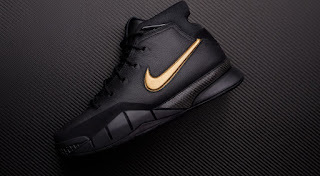 Two years after Mamba Day 2016, the Kobe 1 Protro brings technological innovation to the original Zoom Kobe 1 silhouette to create a model specifically engineered for enhanced performance. It is a testament to Kobe’s undying pursuit of perfection and the Mamba Mentality he’s instilled in athletes all over the world. “Mamba Day” pays respect to one of the game’s greatest players while honoring the intangible piece of Kobe that lives within every person.